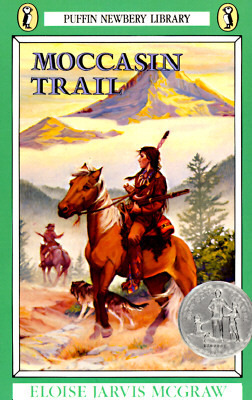 I toyed with the idea of giving away a copy of A Light in the Forest instead, since that review seemed to piqué people’s curiosity, but I ended up settling on Moccasin Trail. I enjoyed this book so much I want to share it with one of you. So. Rules are the same as usual. Due to the cost of shipping, the giveaway is only open to US residents. (I’m still trying to come up with an idea for you international followers…) Leave a comment below suggesting future monthly themes for the book reviews on this blog. I can’t promise I’ll use all of them, but I’d love to know what themes would interest you all. I’ll announce the winner next Wednesday. How about good clean mysteries, like Sherlock Holmes? Please NOT Mandy though too many boyfriends she grosses me out. Historical fiction!!! To spice up your history readings and for fun!! The Golden Goblet, Ink on His Fingers, The Eagle of the Ninth, Otto of the Silver Hand, The Hawk that Dare not Hunt by Day just to name a few favorites!! How about inspiring auto-biographies from missionaries… Women, or men and women, or even famous people as well? Or inspiring tales to make you cry? That is a general enough title to give room for lots of creativity! Oh! I just realized that I applied to the giveaway! I was just commenting… don’t bother about putting me into the contest! My family has 3 copies of this wonderful book already (heehee)! I still need to read “Mara, Daughter of the Nile.” I’ve checked it out from the library twice, but never quite got around to reading it. It’s on my list though. I’ve heard so many good things about it. Love all your ideas for themes. Classics, huh? To tell the truth, I haven’t read too many classics since I finished my literature course for college. Maybe I’ll round up some guest posters to review classics. Anyone interested? I like your idea, Karis, of stories to make you cry. I’ll be thinking about that one. And princess stories, lesmis. I haven’t read too many of those, but it’s an interesting idea. Thanks for your thoughts! I have been so absent from emailing you or commenting on your blog – so sorry about that! Of course, I am unable to enter this sweet giveaway, but I think some really nice book themes to review would be some Christian biography books, classical historical fiction and too, some of the novels (particularly historical) by more modern Christian authors because they are commonly the hardest to decide if they are good or not :). Nice to see you here. 😉 Sorry about the giveaway. I wanted to make it open for international folks to enter for a kindle version, but there isn’t a kindle version. 😦 I like your suggestions. By historical Christian novels do you mean adult books like the Acts of Faith series, or kids books like the Viking Quest series? I like the idea of reviewing classics! Also I like to find good romance-free books, like ones with no romance at all. I realize those may be hard to find but still…something I’d like to see 🙂 Oh, how about creation-themed books? Like ones carried by Answers in Genesis and the Institute for Creation Research. Ha. Now there’s a challenge. Romance-free adult books? Or YA? Or any age category?